JuveRest: The Sleep Wrinkle Pillow is hosting #BridalBesties, a chance for women to reminisce about their special day (or their best friend’s special day) by sharing pictures and telling their story. The winner will win two JuveRest The Sleep Wrinkle Pillows. 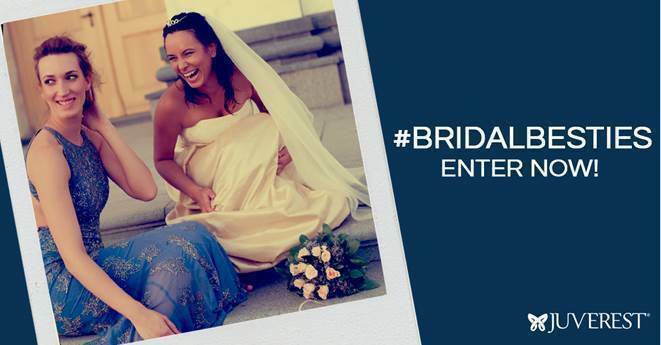 Brides: She’s the one you chose to stand up for you – tell us why you picked her! Maids/Matrons of Honor: Share what it meant to be asked to fill this role in a friend’s wedding! Public voting will determine the winner and entries will be posted for public voting as they are received. JuveRest reserves the right to not publish entries that contain swear words or that are inflammatory in nature. Winner will be notified via email within a week after the contest is complete. Winner will need to claim prize within two weeks following that date. If the prize is not claimed, the prize will be awarded to another entrant.